Affirmation: I am balanced. My body is calm and relaxed. I sleep well and rejuvenate my body, mind, and spirit through my actions. I receive Divine guidance simply and clearly. I am one with all that is. My chakras are balanced. 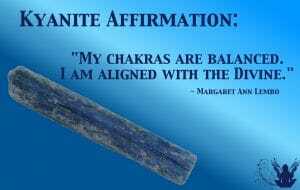 I am aligned with the Divine. 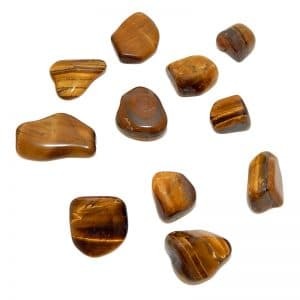 provides a perfect vessel for communication with the higher realms, especially the Archangels Metatron, Michael, Sandalphon, Seraphiel, and Tzaphkiel. 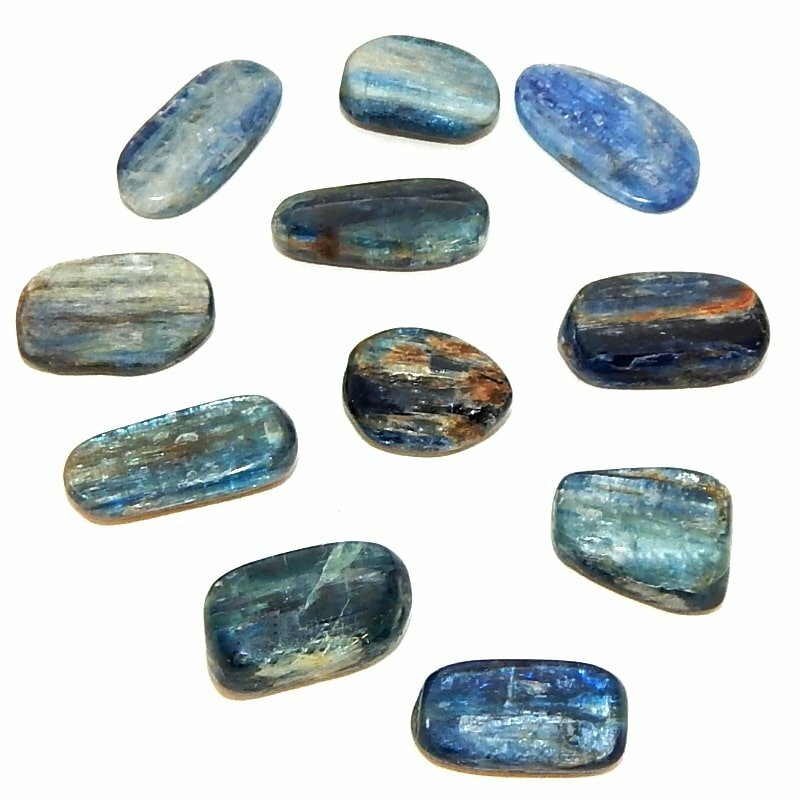 Mental uses: Kyanite is a good stone to have on your desk while studying or trying to figure out a solution to a problem. 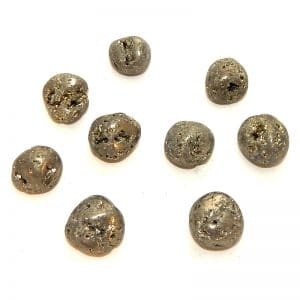 Emotional uses: Kyanite calms the emotions. Its blue energy helps to balance an aura that has too much red energy—in other words, it brings a calming energy to anyone suffering from anger or other inflammatory emotions through faulty perceptions. 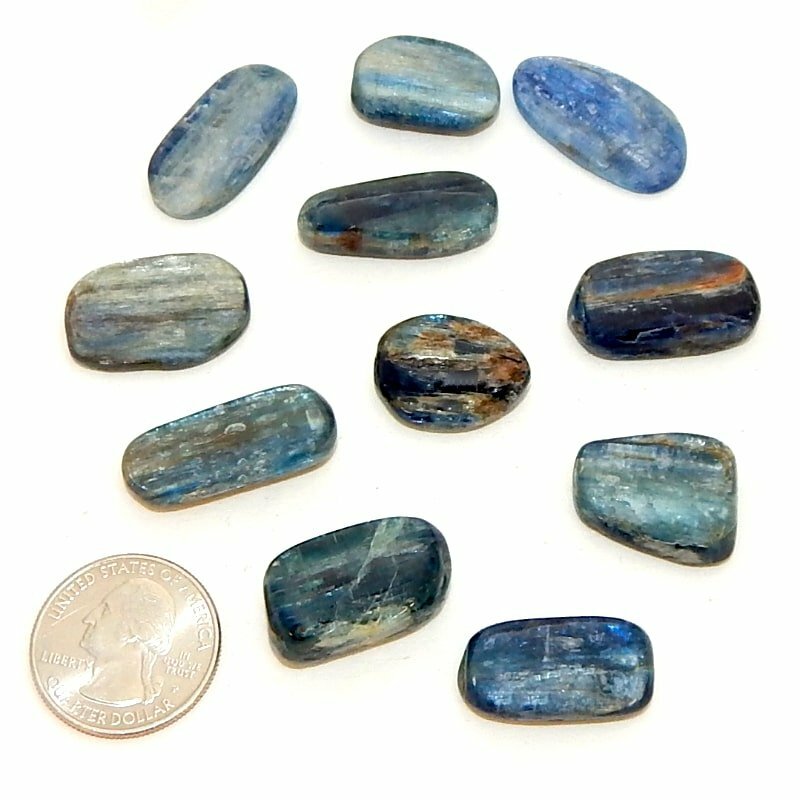 Physical uses: The blue vibration of kyanite automatically assists the physical body in balancing inflammations when used in conscious conjunction with deep relaxation, improved eating habits, and adequate, refreshing sleep.